Ezra Nanes is working hard on the campaign trail with the support of his wife Mieke, daughter Mila, and son Raffa. STATE COLLGE — Having grown up in New York City, Ezra Nanes and his family fell in love with Centre County when he came to Penn State for his MBA in 2010, and he hasn’t left since. 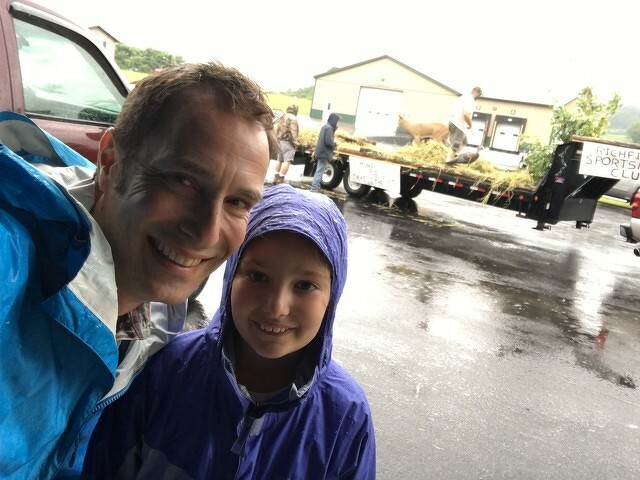 He remembers driving in for his interview at Penn State with his wife and 2-month-old daughter Mila, and the little one cried the whole ride — until they hit Centre County. Now, at 46, the businessman is working on his first campaign for elected office, running as a Democrat against the long-time state senator Jake Corman for Pennsylvania’s 34th District. And, he said his whole family is getting in on the fun. Recently, after a long day at a parade, his children were hoping to watch a little TV, but Nanes and his wife, Mieke, decided it was time to wind down and read some books before bedtime. Mila, now 8, learned from her dad that if you want to change something, there is a process for that, so she made a petition in support of watching TV. She went around the house and got all the signatures she could. Her little brother. The dog. Even a pet fish all signed on to the cause. But, the eight signatures on the petition weren’t enough to sway her parents. “No, the parental decision had been made, and it was in their best interest, but we loved the petition,” said Naines. He said he is amazed at how much his kids have picked up and learned from the campaign. The kids are a constant presence on the campaign trail, with his daughter asking to attend meetings with him, and son Raffa, 5, submitting artwork on his father’s behalf, adding a cute personal touch to the campaign. It all seems to be part of a family tradition of helping people, according to Nanes, the son of a dentist who would go out of his way to help his clients. “My parents were very kind people. My dad was very kind. I think kindness is a very important value. There were people who couldn’t afford to be treated by him, so he would give his services in trade. So, I grew up feeling that we need to care for the people around us ... whether it is family or friends or neighbors or people we haven’t even met,” said Nanes. Nanes said he learned in high school that by paying attention to people, he can have a positive impact on them. The former football team captain said he was very involved in his very large school, but he would see other kids who were quiet and not involved. “They would have their heads down and, occasionally, I would make eye contact with them, and I realized that I could make a difference in their day by acknowledging that they were there and saying hello to them and smiling at them importantly,” he said. Nanes has worked at Accuweather since he received his MBA and loves the company and working to bring people together on business deals. Still working as the director of business development as he campaigns, he hopes the people of the 34th District will elect him so he can work to bring people together to fix district and statewide issues. “One of the things I do is fix processes that are not working. It takes time. You have to get to know an organization. But I am very good at figuring out how to work with people on how to make a process work better, more efficiently and more effectively,” said Nanes, adding that he hopes to do the same thing for the state, but knows it will take a group effort. Education, agriculture, Internet infrastructure, clean energy and gerrymandering are all high on the list of things that he would like to work to improve in the commonwealth. He said the elections of 2016 were the turning point that made him decide to make the jump from being an active engaged voter to running for office on the Democratic ticket. “We saw the values that matter to us and that are really the true values of our country — things like responsibility, commitment to a common cause, fairness, even empathy for our fellow people, because America was groups of differing people, different religions coming together to make a place that we can all live in — these were being trampled on,” said Nanes. At the North Atherton Waffle Shop in State College, Nanes was greeted warmly by the staff and diners who know him and see him often. There were many supportive well-wishers, and while Nanes enjoys talking to the people in his adopted hometown, he said he is just as glad to speak with the farmers and rural community members that make up large part of the district that he hopes to represent. He said he always has been appreciative of farmers and he respects the hard work they do. He said he feels it is a shame that farmers are struggling the way they are right now, and he wants to be the candidate who will listen to them regarding what they need. At a recent meeting with area farmers, he said he did just that. “I came here and I just said we need to reckon what these traditions are worth to us. Traditions like farming — family farms that make up the fabric of this place,” said Nanes. “I had farmers speak to me afterward who said they were so glad that they had someone running for office who actually cares about us and will represent us. It is more about where my heart is. "That is what I am seeing. People are fed up with the divisions. It doesn’t matter what party you are in. After coaching the wide receivers at West Point in 2017, David Corley caught on as Penn State’s new wide receivers coach in 2018. There’s a catch, though (several, in fact). 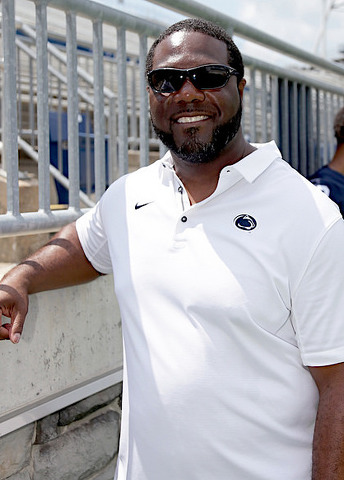 Initial catch: Head coach James Franklin originally hired Corley as the Nittany Lions' running backs coach, to replace Charles Huff, who joined Joe Moorhead at Mississippi State.